LA Galaxy star Zlatan Ibrahimovic has maintained that while Tottenham Hotspur star Harry Kane is a good striker, he would have to leave the "normal" club to win trophies. 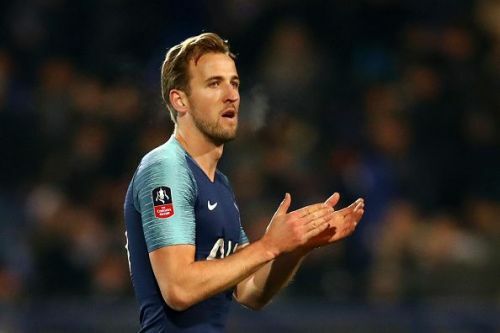 In recent years, Harry Kane has risen above the ranks in English football: from a mere Spurs academy player to one of the best English strikers and a two-time Premier League Golden Boot winner with nearly 200 goals under his belt. The new Spurs side has progressed under Mauricio Pochettino, overtaking North London rivals Arsenal and consistently finishing in the top four. If it wasn't for their injury crisis at the moment, one could even call them title contenders. The 25-year-old striker has been linked to a host of big clubs recently, with the likes of Real Madrid and Manchester United all reportedly interested in signing him. Despite the rumours, Kane last year committed himself to Spurs after signing a new contract that will keep him at the club till 2024. Former Manchester United front-man Ibrahimovic has weighed in on Kane's future saying he should leave the Spurs if he wishes to expand his potential and win trophies. Speaking to Bethard, the Swede said, "When I was in England, I saw him play. I think he is a good striker. He's still developing, he's doing good things." "But I always say, playing in a big club, performing good is different from playing in... with all respect to Tottenham, a 'normal' club." "I think he can make it. He just needs to make the move, and people will remember you for what you win." "So if he wants to win, then yes, I think he needs to change." Kane is currently out with an ankle injury that will keep him out of the team until March. The Spurs will have to go on without their talisman when they face Chelsea on Thursday.